A 1962 Ferrari 250 GT Cabriolet Series II is the highlight of the Artcurial Monaco 2017 classic car auction in early July 2017. Artcurial Motorcars announced the launch of a new biennial classic car auction series in Monaco on July 2, 2017. 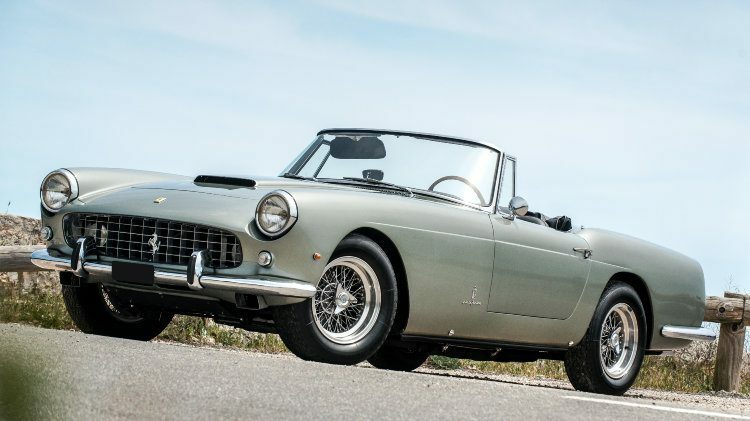 Cars with million-dollar plus estimates in the sale include a 1962 Ferrari 250 GT Cabriolet Series II by Pininfarina, a 2009 Bugatti Veyron Grand Sport, a 1974 Porsche Carrera RSR 3L and a 1987 Porsche 959 Komfort. Also worth watching is a 1991 Porsche 928 GT – it belonged to French pop-royalty Johnny Hallyday. The Principality of Monaco is one of the most glamorous places in the world, complete with casino, chic neighborhoods, elegant princesses and high profile motoring events. It was here that the legendary Monte Carlo Rally began in 1911. Today it showcases the best historic sporting machines. Monaco also provides a stunning backdrop for the Formula 1 Grand Prix. Artcurial Motorcars to choose the Principality as the venue to launch its biennial automobile auction. The first sale will take place on 2 July 2017 at the Grimaldi Forum. Led by Hervé Poulain and Matthieu Lamoure, the auction will present some 123 collectors’ cars, with nearly 25% of these at no reserve. The sale will reflect the personality of the celebrated venue, offering a heady mix of elegance, rarity, celebrity and sport. Enthusiasts and collectors will have the delicious choice of a sumptuous 1962 Ferrari 250 GT Cabriolet Series II Pininfarina, a racy 1974 Porsche Carrera RSR 3L or a manual 1998 Ferrari F355 GTS that used to belong to Jean Paul Belmondo.